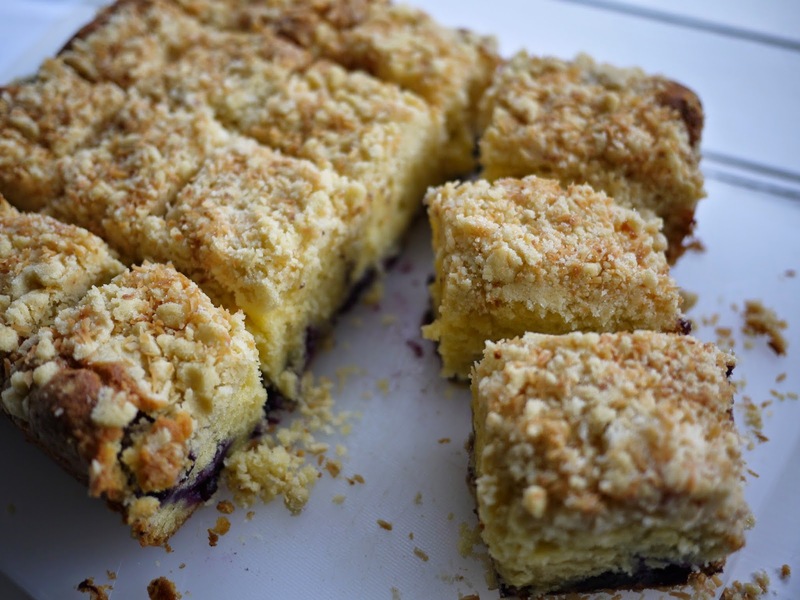 Biting into the plump, soft crumb of this cake, dotted with juicy, squishy blueberries and topped with the crunch of coconut makes this a rather delicious bank holiday bake. 1. Preheat the oven to 180C/160C (fan)/Gas Mark 4. Butter and line a 20cm square cake tin. For the crumble: rub together the butter and flour to form gravel sized pieces. Stir in the sugar and coconut until evenly mixed together and set aside. 2. 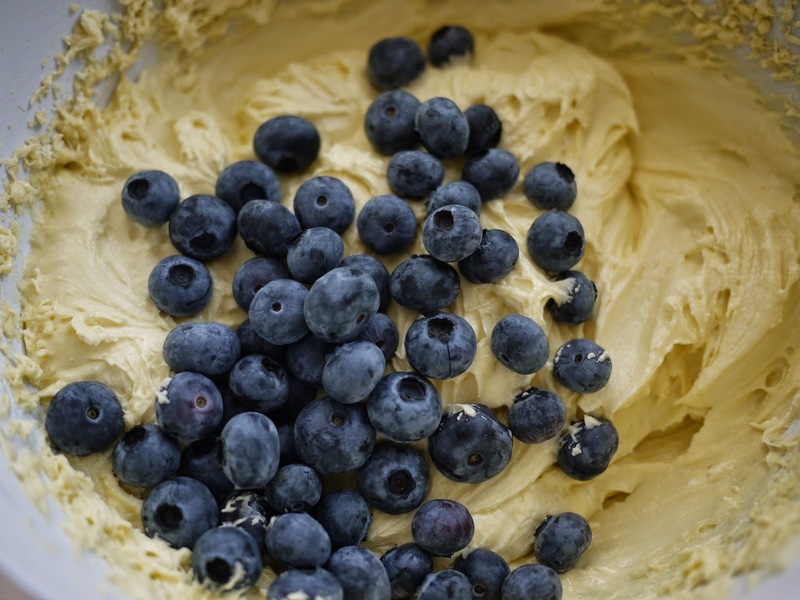 For the cake: beat together the butter and sugar until light and fluffy. Gradually add the eggs, one at a time. 3. Mix together the flour, baking powder and lemon zest and stir half into the butter-sugar mixture with half of the soured cream. Beat well together. Add the remaining flour mixture and soured cream and mix well. 4. 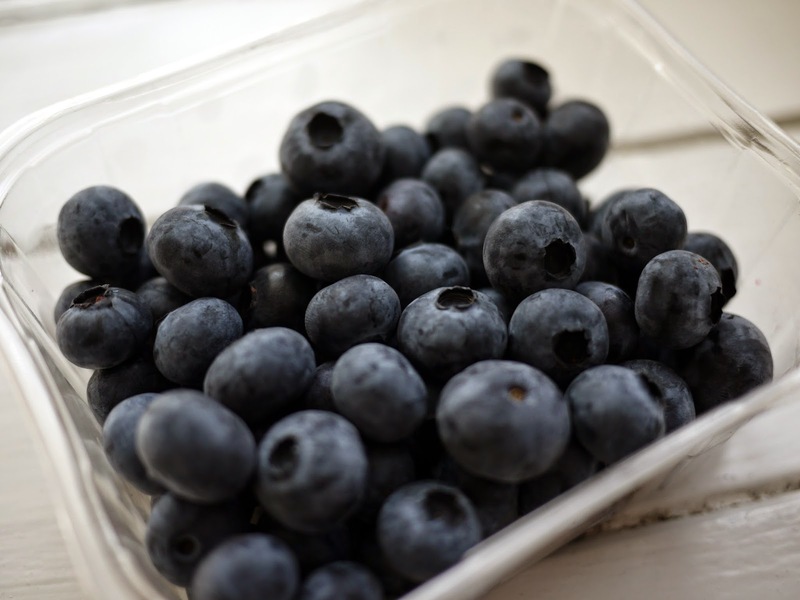 Stir through the blueberries and spoon into the prepared tin, leavening the top. Thank you very much Laura- the crumble topping is a little different but adds such a satisfying crunch! oh good lord that looks divine... love the coconut and berry mix... this is superb! The best bank holidays are the ones that involve cake and doing nothing, so it sounds like you had a perfect day! This sounds delicious - I love a crunchy crumble topping. Indeed- what else are bank holidays invented for other than to bake and eat an awful lot of cake?! What did I do on my Bank Holiday? I got wet. Very wet. I should have stayed at home and baked something like this. Sounds lovely. I'm feeling a bit left out, though, because I don't recall ever hearing of a Screwball ice cream before. I think I may have wasted my life. Screwballs were great fun- a plastic cone of artificial vanilla ice cream with an enormous gob stopper at the bottom! Get thee to thee nearest retro ice cream shop! 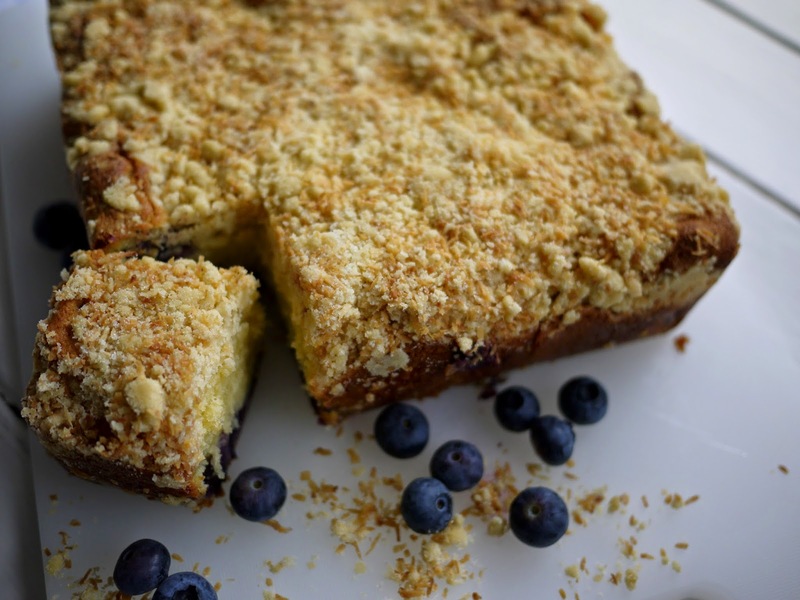 I love blueberry cake and that crunchy topping looks great. Glad you had a relaxing bank holiday apart from the early start! We certainly did thank you Baking Addict! The texture of this looks fantastic. A perfect homely bake for a day of lazy lounging. Yum, yum and thrice yum - my kinda cake!